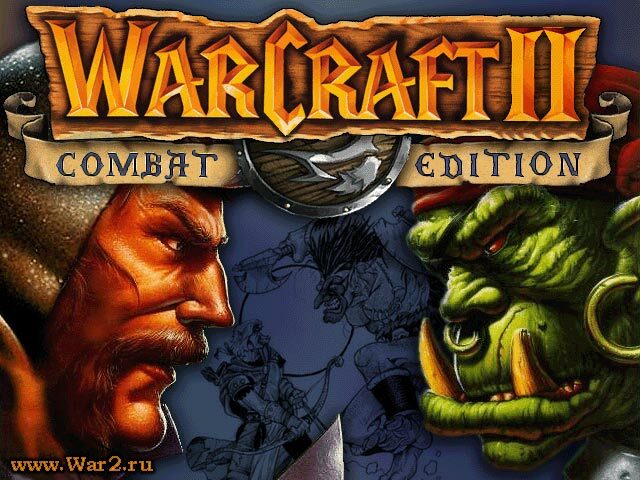 Warcraft II: Combat Edition, aka War2Combat, is not just one of many builds for popular Blizzard games. This is a project that has been developing over the past 15 years, being in fact the standard of modern Warcraft II for the entire active global community of online Warcraft II players. Combat have been tested for all Windows since XP to lastest updates of Windows 10 / Windows 2019, also Linux OS (under wine) is tested and working fine. It includes several new features & bug fixes designed to improve the multiplayer gaming experience. Some annoying mistakes of the original game were caught and corrected. War2Combat is NOT any kind of warez / pirate software. It handles the CD-keys the same way as “official” Warcraft II from GOG. It will work with GOG server only if you have legal official GOG or Blizzard CD-key. Several useful additional programs have been developed: for recording your games, assessing your APM, and for more comfortable spectator / observer mode. To fix the graphics, the problems that started with the release of Windows Vista, all available options were tried. Although each of them somehow corrected the graphics, each had certain problems in Warcraft 2. As a result, the most talented programmers were recruited, specializing precisely in the nuances of graphics in old and new Windows, and after numerous tests, they jointly refined the graphics to the desired perfect result. This result continues to be actively used by the community, therefore any slightest problems are immediately identified and promptly corrected. 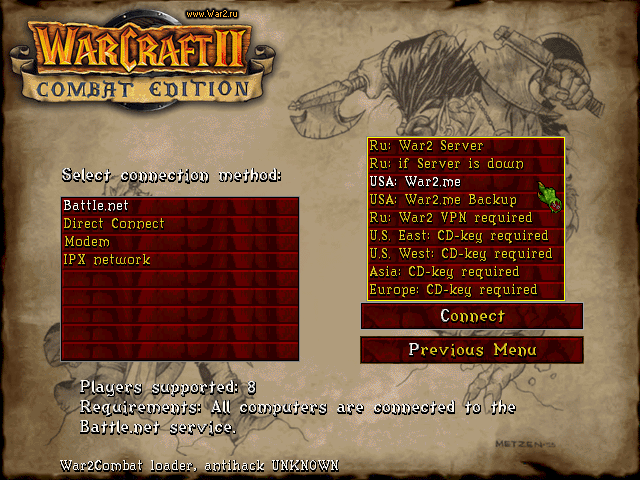 Another common problem of Warcraft II is the inability to create a game so that other players can connect to it. This is an architectural problem of the original game. We have done a lot of work to circumvent these problems. There is no such fix in any other existing release. The entire original gameplay has been fully preserved: “strange” obstacle avoidance algorithms (pathfinding), tree-chopping, the so-called tower bug, multicast, which could be called errors, have long become features of the gameplay, and therefore are left unchanged. The most important feature of War2Combat is that the project is being developed with love for the game, by people who actively play it for people who also love war2 and have been playing it for more than 20 years – from the very first days! And all these people were engaged in and continue to do it for free, in order that everyone could play the best warcraft 2! All sound effects, unit voices, etc. now combat not requires to manage any CD-keys after being installed by GoG. It just uses GoG’s cd-keys, together with GoG. GoG’s KeyChanger added to combat. That’s sufficiently improved version based on test2. That supports OpenGL rendering with lots filters. Combat adapted to new official version by GoG released today. At the same time it’s still compatible with unofficial servers. War2Combat becomes multilingual. Added installers on: Russian, German, French, Spanish, Italian and Polish languages. Also, War2Combat since this version have 3 sizes: standard version, lite version and full version. additional utilities for network gaming: War2Insight, Warvideo, War2Observe. Changed the concept of Combat. Some more beauty and functionality instead of smallest size. 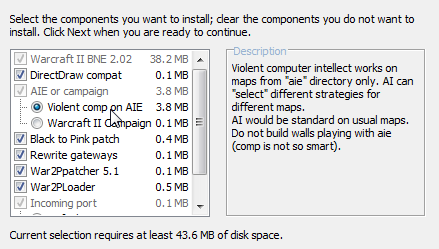 War2 install path will now default to c:\war2combat irrespective of your previous settings. Added mousetopher’s server in gateways. New AI by Rotonda makes the computer players better. AI can “select” different strategies for different maps. New AI can be used ONLY on maps from “aie” directory. AI would be standard on usual maps. Maps in Scenarios and Scenarios_Sea directories require game type “Use Map Settings” and default resources. All the maps have been tested, and you can win on all maps although it can be difficult. Eye of Kilrogg can now patrol. Added support for Battle.net gateways. [PC Only]. The registry key HKEY_CURRENT_USER is used rather than HKEY_LOCAL_MACHINE. Battle.net Create Game Chatroom now lists resources and starting location along with map size and game speed. bringing your units to normally unattainable levels. Fixed a bug where sappers would sometimes walk up to the wall, but not detonate. Fixed a bug which caused the menu screens to become unresponsive to clicks if the computer had been left on fordays or more. If a player is #1 on both Ironman and Regular ladder, it now shows Ironman stats, not the Regular stats. Map-passing now sets the map’s creator code to W2Be (a Map Editor file) instead of WBN (a War2BNE file). Clicking on the portrait of an invisible unit not your own no longer centers the map on that unit. Previously, if somebody else had allied with you, you could not cast death coil on them even if you were not allied with them. [Mac only]. The application resource version no longer states beta, and copyright notices corrected. Copy file “WPpatch.exe” to your Warcraft II BNE directory. Run “WPpatch.exe”. 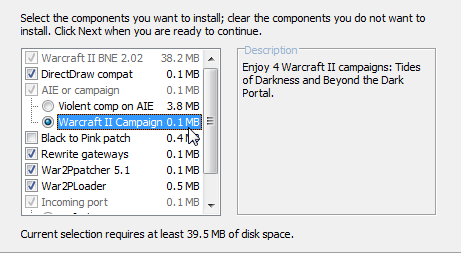 It will run Warcraft II BNE with WP patch features. This quick survey helps us avoid spam bots and improve our server. The download link will display immediately after you click "Submit". Thanks! How do you plan to use War2Combat?